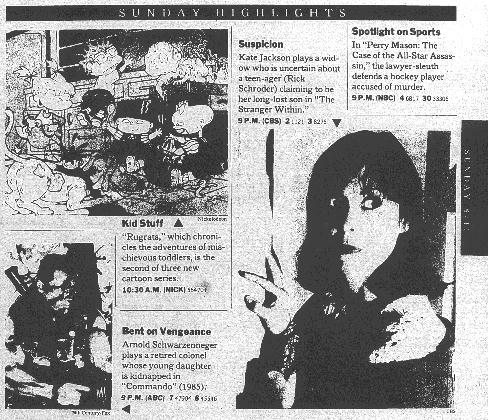 And now, here's a look at the shows, channels and events that lit up the screens the week Rugrats first went on the air in August 1991. And now, the bottom 10 shows for that week. Remember these? 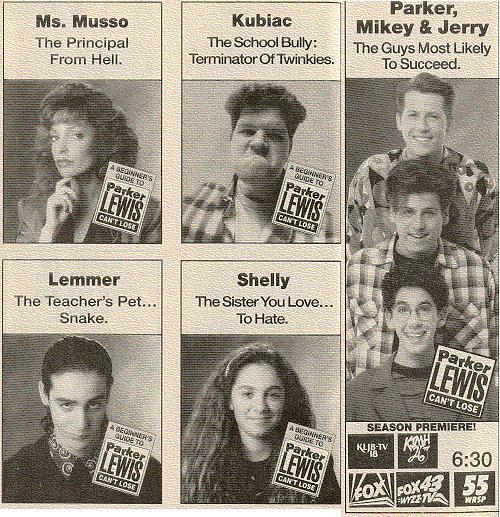 Above: Fox network ad for Parker Lewis Can't Lose, from the Western Illinois edition of the 8/10/1991 issue of TV Guide. The second season opener of Parker Lewis was on the same day as the start of Rugrats on Nickelodeon (this was at a time when Fox started most of their new shows in August, rather than September or October). Also, Melanie Chartoff was a busy actress on TV at the time -- in addition to being the voice of Didi on Rugrats, she was also school principal Ms. Musso on Parker Lewis. And if you wanted to catch her on both shows that night, no problem -- Parker Lewis was on at 7:30PM ET, while the repeat of the Rugrats' debut was at 8:30PM ET. In case you're wondering -- on that night's episode, the students and their parents participate in a toaster-building contest. © 1991 Fox Broadcasting Company; TV Guide provided by TV Guide Specialists. Here is Nickelodeon's schedule for the week of August 10, 1991; all times ET. * indicates a special showing; beginning 8/18/1991; all 3 Nicktoons would only have one showing each a week, on Sunday mornings. Normally, what's seen on Nick-At-Nite Saturday nights would also be seen Sunday nights. Left: Examples of some of the original programming that appeared on Nickelodeon in 1991 -- Make The Grade, Kids' Court and Family Double Dare. 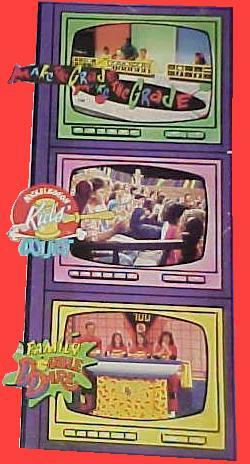 All of these shows were taped at Nickelodeon Studios at Universal Studios Florida (now Universal Orlando). Universal Studios Florida opened in 1989, while Nick Studios opened a year later, in 1990. At the time, all three of the big three -- ABC, NBC and CBS -- offered Saturday morning cartoons in their line-up. Fox was just getting their feet wet, while Nickelodeon had less-than-stellar repeats of shows such as Inspector Gadget and Yogi Bear. Here are the Saturday morning schedules for ABC, NBC, CBS and Fox. All times ET; some shows may have been delayed or pre-empted in your area at the time. * -- Raggedy Ann & Andy was originally seen on on CBS from 1988 to 1990, but starting 7/27/1991, reruns were brought in as a permanent (until the end of August) replacement for Pee Wee's Playhouse (see below).